Smart homes and smart home automation have become easier to implement. Thanks to technology such as Samsung's SmartThings, a whole-home retrofit is possible. There are loads of Samsung SmartThings compatible devices, from light bulbs and thermostats to garage door openers. 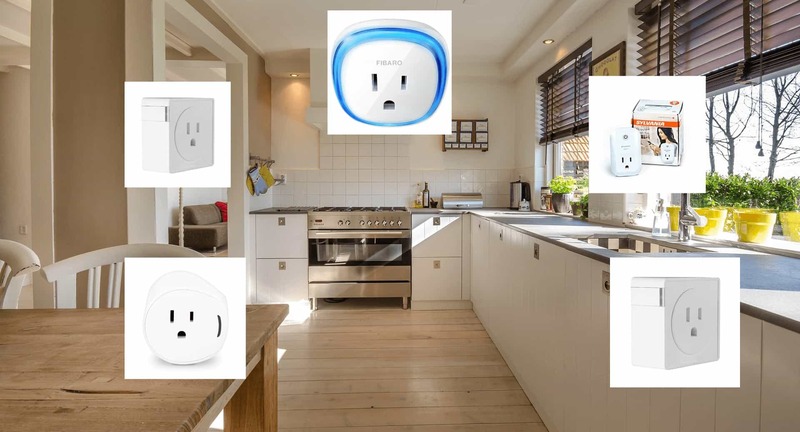 Smart plugs are one of the most commonly used automation products due to their ease of setup. Check out the best SmartThings wall plugs in 2019! What is a Smartthings Wall Plug? Samsung SmartThings is a smart home connectivity platform. SmartThings utilizes Zigbee and Z-Wave technology. Individual devices such as thermostats, light bulbs, and more interact with one another as well as with a Samsung SmartThings hub. A hub is necessary to use SmartThings devices. Quite simply, a SmartThings compatible wall connects to a wall socket and then takes another device plugged into it. Then, you can turn on and off the wall plug via the SmartThings companion app as well as any connected services such as Amazon's Alexa and Google Assistant. Because smart wall plug for SmartThings devices simply let you connect any device with a two or three prong plug, you can essentially make your own smart home devices. For instance, plug in a coffee maker and you've got a smart coffee maker. Then, you can use SmartThings to create automations, routines, and even use voice commands. It's an alternative to smart bulbs as well. For lighting, you may plug lamps into SmartThings wall plugs for smart lights without swapping out bulbs. You'll find loads of SmartThings compatible wall plug devices on the market. Many work standalone using their own smartphone app and most are controllable from with the SmartThings app. Take a look at the top five best SmartThings wall plugs in 2018! 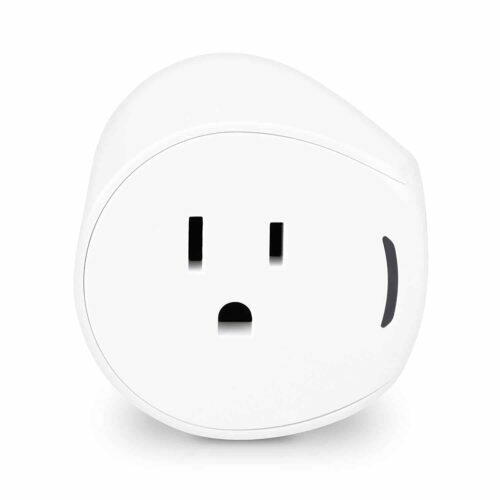 The Samsung SmartThings Outlet is an affordable, simple to use SmartThings compatible wall plug. Pairing is easy, and outlets function flawlessly with SmartThings. There's Google Home and Amazon Alexa capabilities for voice control. Since it's essentially a plug-and-play Smart Wall Plug for SmartThings, the SmartThings outlet is a top choice for making “dumb” devices smart. Plus, it serves as a Zigbee repeater and extends the Zigbee network in your home. 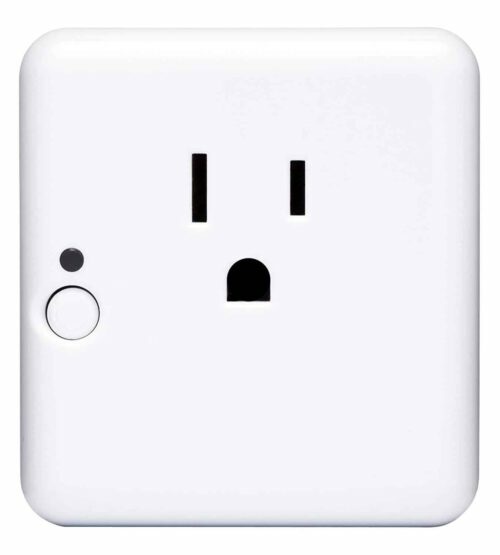 Unfortunately, its form factor means that you might not be able to plug devices in next to the SmartThings smart outlet. Still, these Zigbee smart wall plugs provide an intuitive means of upgrading your smart home. Just as Sengled makes some of the best smart light bulbs for SmartThings, so too are its SmartThings wall plugs offerings excellent. They're incredibly inexpensive yet high-quality. You can use Sengled wireless smart plugs with Amazon Echo units and Google Assistant for voice control. Set up automations and routines to make any device smart. With effortless installation, it's a user-friendly smart outlet. Disappointingly, plugging this Samsung SmartThings smart plug into the bottom outlet means you'll cover the top outlet. When plugging it into the bottom outlet, you'll need to use the top outlet then. Nevertheless, it's a small inconvenience as the Sengled wireless smart plug simply works. Pairing is hit or miss. Occasionally, it might pair with a SmartThings hub merely as a generic Zigbee device and necessitate a change in the IDE. But mostly it pairs effectively. Centralite offers a superb value Smart wall plug for SmartThings in the Centralite smart outlet. You'll find Zigbee, Wink, Echo, Google Assistant, and Vera compatibility in addition to SmartThings functionality. Just plug in the Centralite Smart Outlet, add Centralite in the SmartThings app, and you're up and running. Like the majority of smart plugs, bulky designs makes plugging two cords into a dual three-prong outlet a challenge. But that's a common problem which many smart plugs suffer from. With ease of use and excellent value, it's one of the greatest Samsung SmartThings smart outlets available. 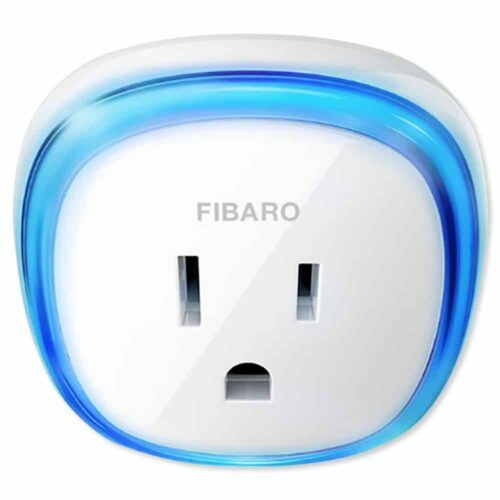 Whereas most smart outlets sport a similar design, the Fibaro Z-Wave Plus wall plug touts a blue ring around its outlet. 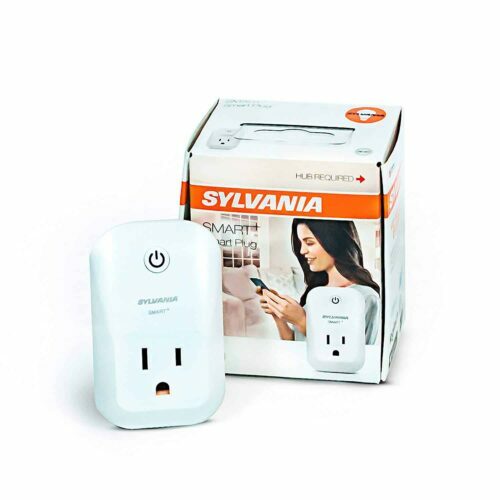 It's Z-Wave compatible and controls devices up to 15 amps. There's a built-in power meter, and the LED ring around the edge changes colors to correspond with power draw. As such, this LED is not only stylish but useful. Its Z-Wave certification makes for Wink connectivity as well. There's also AES-128 encryption and S2 security protocols. The design is also slimmer than competing SmartThings wall plugs so you'll be able to fit devices into both outlets in a dual three-prong outlet set up. Ultimately, there are loads of SmartThings compatible wall plugs you can buy. Mostly, these merely plug in, pair with a Samsung SmartThings hub, and are ready to go. Then, you can connect lamps, crock pots, coffee makers, and more for smart home control and automation. You may also consider Z-Wave wall switches for additional smart home retrofits. Outside of configuring routines, you'll also be able to save money. Monetary savings derive from using SmartThings smart outlets for monitoring in-home energy use and shutting devices off using the SmartThings app, voice command, and even automations. The only downside is that many feature a bulky design which fully, or partially blocks neighboring outlets. Still, it's totally worth using smart outlets. I've outfitted my apartment with these nifty smart plugs which are ideal for apartment dwelling. As they're noninvasive gadgets, no construction is required. Just plug in, pair, and connect dumb devices to make them smart. 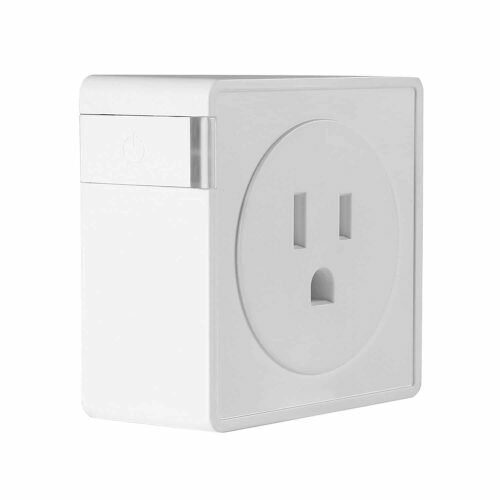 Your turn: Which SmartThings wall plugs do you suggest?